Product prices and availability are accurate as of 2019-04-22 05:36:53 UTC and are subject to change. Any price and availability information displayed on http://www.amazon.com/ at the time of purchase will apply to the purchase of this product. 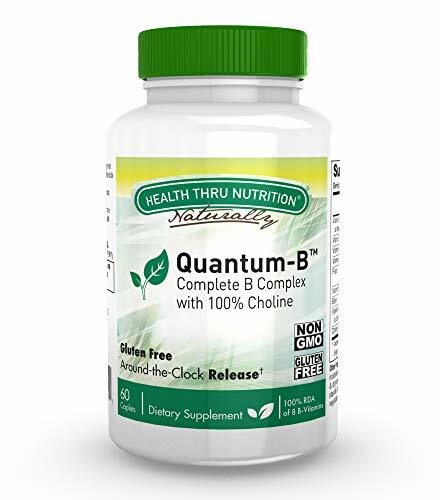 Quantum-B™ Complete B-Complex is the first High Potency B-Complex supplement in a convenient sustained release two-caplet serving-size, (for round-the-clock protection), formulated to provide a full 100% Dietary Requirement of the essential nutrient Choline. Choline plays a critical role in fetal development. What’s more, both postmenopausal women and older men may require higher amounts of Choline to prevent organ dysfunction. Choline is an essential nutrient in Brain Development, and Liver Function. 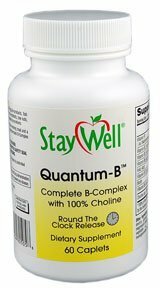 In addition to the essential nutrient Choline, Quantum-B™ Complete B-Complex is fully loaded with the B Vitamins your body needs: Vitamin B1, Vitamin B2, Vitamin B3, Vitamin B6, Folic Acid, Vitamin B12, Biotin, and Vitamin B5. 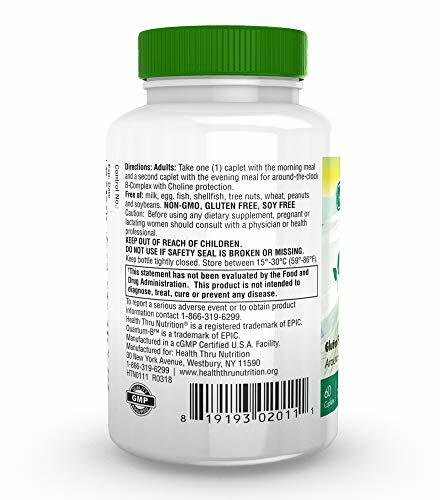 Exclusively Formulated and Manufactured in US cGMP Certified Facility.